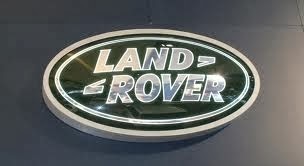 Sellers Comments - Land Rover is a restoration project not a weekends work ! Unmolested 1973 tax exempt Land Rover Series 3 109 pick up, 2.6 six cylinder petrol. Ex military, built 1973, registered 1985 when left the army. Start price £250 is what I have been offered for the wheels alone! For spares or repair- chassis is quite rusty and will need some replacement or welding for an MOT I've included pictures so you can see the underside / condition. The bodywork is very straight and original. Was rescued from a farm where it had been standing for the last 15 years, when it was parked up and left by the owners son, I don't believe there was anything wrong with it, he just went abroad and did not return. I believe it is ex-military going by the amount of underseal the chassis and under body has on it, it was also not first registered until 1985, but, is declared manufactured in 1973, I have the new style V5 in my name. The chassis has rust broken in front of the osr spring mount and the spring mount has detached, I haven't been all over the chassis but include pictures its not nice except for the rear x-member funnily enough ! I think it must have been replaced shortly before it was parked up. There is a great set of 7.50-16 Deestone extra grip tyres fitted on the wheels which have near new tread on them. I have put jump leads on it but the starter just clicks and doesn't engage, but the engine is free and turns over by hand. The brakes were seized but have freed off when it was winched it up onto a trailer, both clutch and brake pedals are locked solid but I will try to free them if I have a chance. the brakes will obviously need attention and the fluid is low in the master cylinder so i guess a brake pipe or cylinder has gone. The bodywork is extremely straight and tidy for a land rover of its age. under its non military camo paint job ! the paint has worn through to the ally in places and pretty much gone completely on the ns front wing, I think this was replaced and not etch primed. The top strip of the tailgate is rusty where it was laying in the back upside down, the door tops are rotten but the bottoms aren't bad. the bulkhead is very good, I've taken pictures to show this at the top but there is surface rust in the footwells and some rot starting above the pedals.